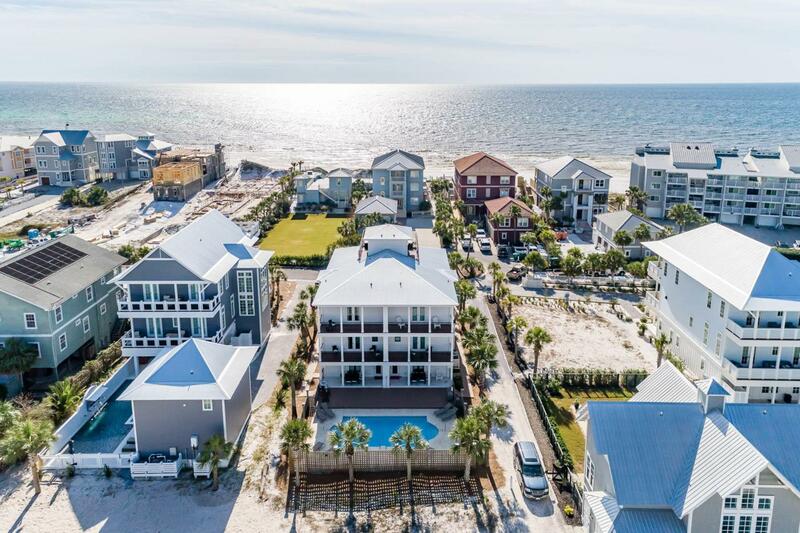 Astonishing views of the Gulf of Mexico along with incredible architecture exemplify this fully renovated luxury duplex situated steps away from the sugar white sands of the Emerald Coast! Located in Seagrove Beach, 156 Chivas Lane offers two separate units each containing four bedrooms and four bathrooms. Exclusive beach access is deeded to this property located at the end of the private street. Offered professionally furnished, this property includes lavish fixtures, designer finishes, a vast rooftop terrace, private pool, large lot, two separate two car garages, an open concept living space, chef's kitchen, and much more! Renovations include all new exterior siding; a new roof; new handrails; new decking; new impacted rated windows; fresh exterior and interior paint; new flooring;new trim; new countertops; new appliances; new custom tile; etc. 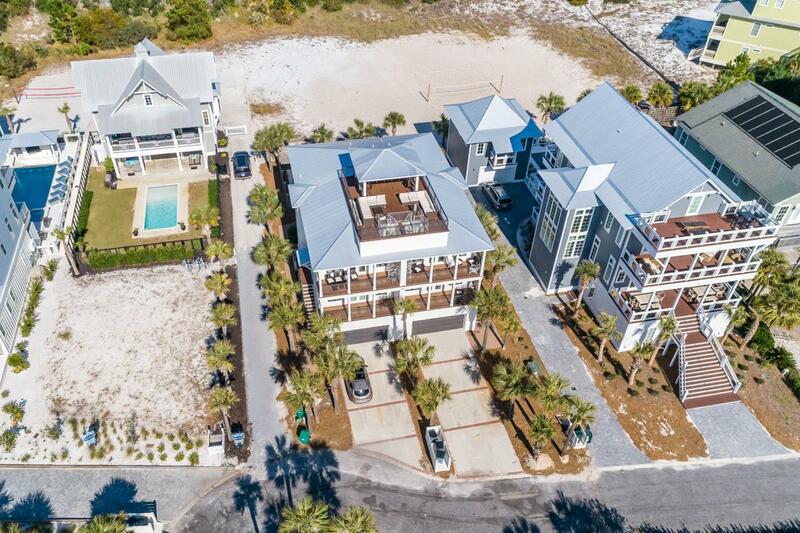 Positioned in the heart of Seagrove, this estate offers outstanding access to enjoy all 30A offers including the sugar white sands, emerald waters, world-class fishing, first-rate dining and luxury shopping. The thoughtful floor plan showcases each unit's luxury open concept great room on the third level of the home. From this incredible space, views of the emerald waters can be viewed. A gourmet chef's kitchen featuring a large island and custom cabinetry; along with a spacious dining space, expansive living area, exposed brick walls, cedar wood ceilings and custom trim are relished throughout this level. Additionally, on this floor you will find a roomy guest bedroom and bathroom. On the second level of each unit, a striking foyer greets your guests. Two large master suites are located just off this entry way. Each suite offers a large bathroom with double vanities, a walk-in shower, spacious closets, designer fixtures and custom tile work. As you travel to the ground floor of each unit you will find a beautiful owner's access and sizable laundry facility. Additionally, the bunk bedroom and bunk bathroom found off the first-floor hallway. As you exit the rear of the home you will see the large private pool and deck area. Each unit features an outdoor grilling and entertaining space for al fresco dining. The undeveloped back end of the property offers additional space to add a beach volleyball court, bocce court or additional deck space. Lots this size are a rare find along 30A. With great rental income, this property makes the perfect second home or investment property. Containing multiple units offers the flexibility to rent only portions of the property while maintaining secluded owner's quarters. 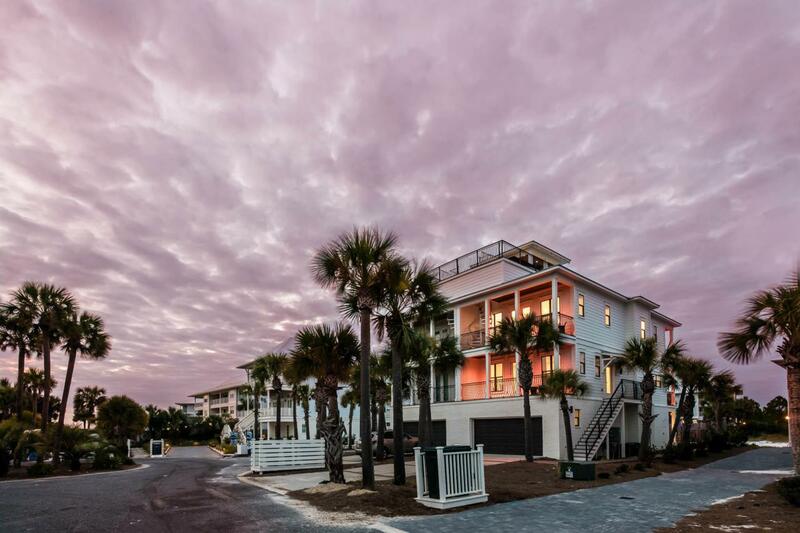 Do not miss this extremely rare opportunity to own one of the few multi-unit properties on 30A! Buyer to verify all dimensions.